Delaware Ohio was featured on the WOSU Columbus Neighborhood program. “Halloween in Columbus” which aired on October 26,2017 included the Northwest Neighborhood Association’s Ghost Walk. Our very own board president Brent Carson is the “video star” of the segment. Join us for a look at Halloween in Columbus. We’ll tour an old local cemetery for pets, share spooky stories from the Worthington Inn, take a ghost walk in Delaware and recount some local lore. 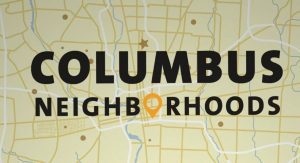 COLUMBUS NEIGHBORHOODS is a weekly magazine show on WOSU TV that explores the history, stories and people that make Columbus and central Ohio a unique place to live. Hosted by Javier Sanchez and Charlene Brown, Columbus Neighborhoods covers current issues that affect our neighbors to shed light on how the past continues to influence the present. Watch Thursdays at 8:30pm on WOSU TV. The Northwest Neighborhood Association hosted its 2017 Haunted Delaware: Ghost Walk tour on Saturday October 7th. Bi-annually, the Northwest Neighborhood Association of Delaware holds an evening of mystery and fun in the streets and buildings of the Northwest Neighborhood’s Historic District. This year, the Ghost Walk departed from Gallery 22, then ventures into some of the most haunted streets in Delaware’s historic Northwest Neighborhood, where attendees heard actual accounts collected from residents with whom the spirits currently reside, along with favorite tales of past hauntings. The 75-minute ghost walk concluded with a tour of Delaware’s 1870s county jailhouse with the original cell block.